We are your Florida Dump Truck Source to Haul Dirt, Rock, Stone & Shell. The most common definition of a dump truck is a truck with a body that tilts and opens at the back for unloading materials. Dump trucks are an integral part of the construction and sitework process. 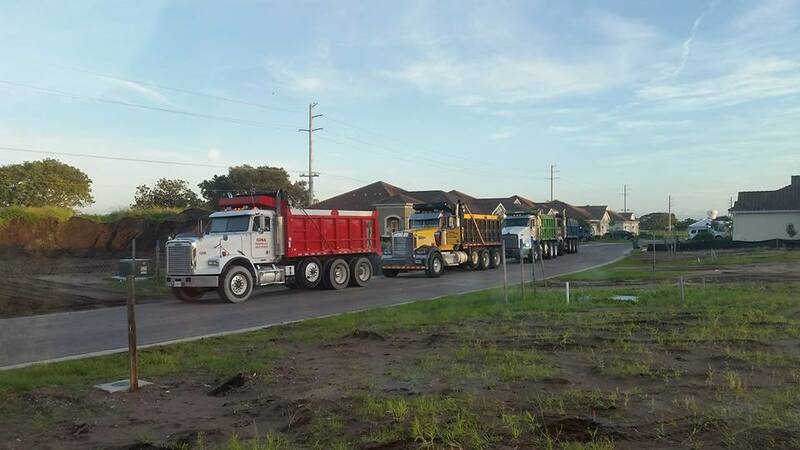 To move materials such as fill dirt, rip rap, paver sand, road base, shell rock, FDOT rocks and materials and #4, #5, #57, #89 stone in large quantities dump trucks are needed to move the materials efficiently and safely. Dump trucks are often referred to as tri axels or mini wheelers. Prior to the dump truck getting loaded we register the TARE weight of the vehicle. Tare weight is the weight of the truck when its empty of materials. Typically, it’s somewhere between 24,000 and 26,000 lbs. Once the dump truck is loaded it goes across the scale to get a Gross Vehicle Weight. (GVW) Loaded in Florida most tri axels and dump trucks are legally allowed to travel with 70,000 lbs. The Gross Vehicle Weight minus the Tare Rate gives us the calculation of how much material is loaded on the truck to be delivered and this is called a NET Weight. A good average is approx. 44,000 lbs. of material in the bed of the dump truck. To calculate pounds to tons we divide the NET WEIGHT by 2,000 to get the true calculation of how many tons a dump truck is loaded with. Often these dump trucks and mini wheelers are considered to be carrying 18 cubic yards of materials in the bed of the dump truck. The importance of having the materials weight is so the customer is only paying for the material they are actually getting. Materials such as FDOT rocks, sand, shell, shell rock and rip rap are always given a net weight. Dirt often is sold as an 18 cubic yard load and not weighed on the scale. 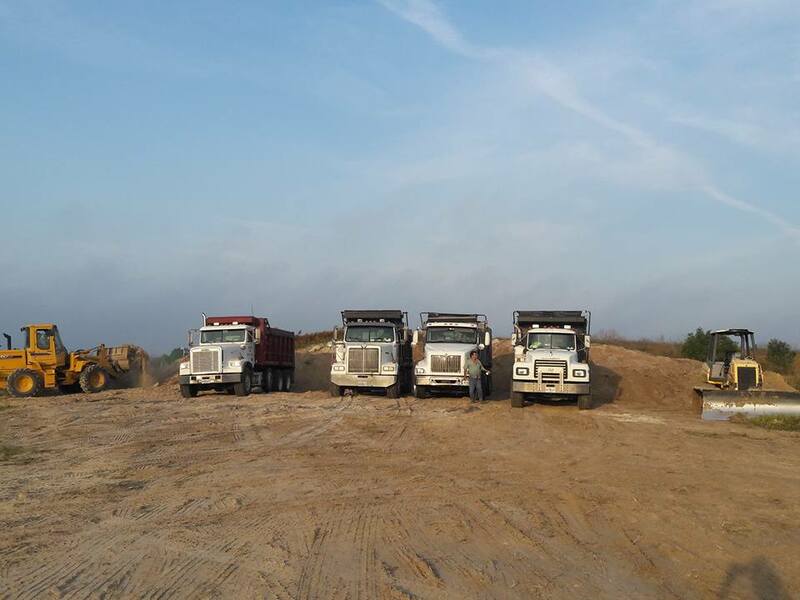 At Sitework Supplier we have a vast fleet of dump trucks ready to service your next project with just one truck or 40 trucks. We also will provide trucks to perform what is called ON SITE TRUCKING. ON site trucking is charged hourly for the use of the tri axel dump truck and driver to work on your site typically moving materials from one area of a job site to another area.